Use CAT5/6/7 cables to broadcast up to 16 high resolution SXGA, stereo audio, RS-232, and IR sources 1,000 feet through a single video extender unit. 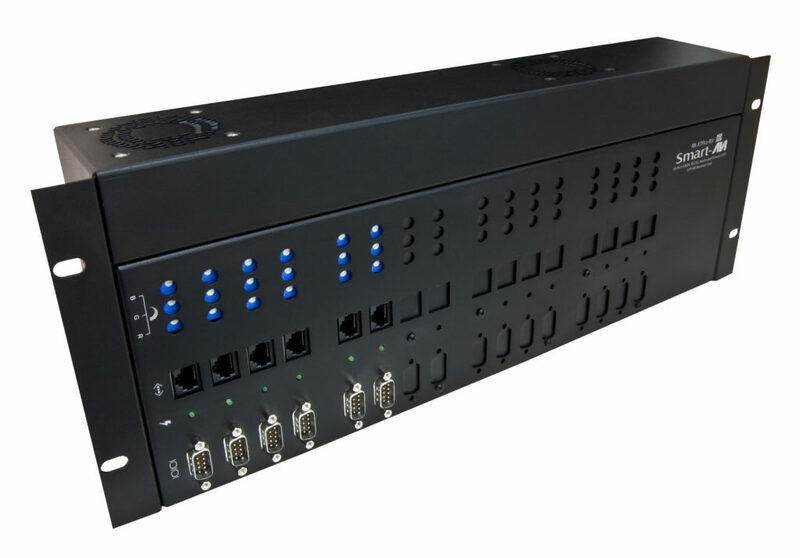 The RK-XTPro is a 16-port rackmount extender for VGA/Stereo Audio/RS-232/IR signals, capable of boosting signal ranges up to 1000 ft from a signal source. 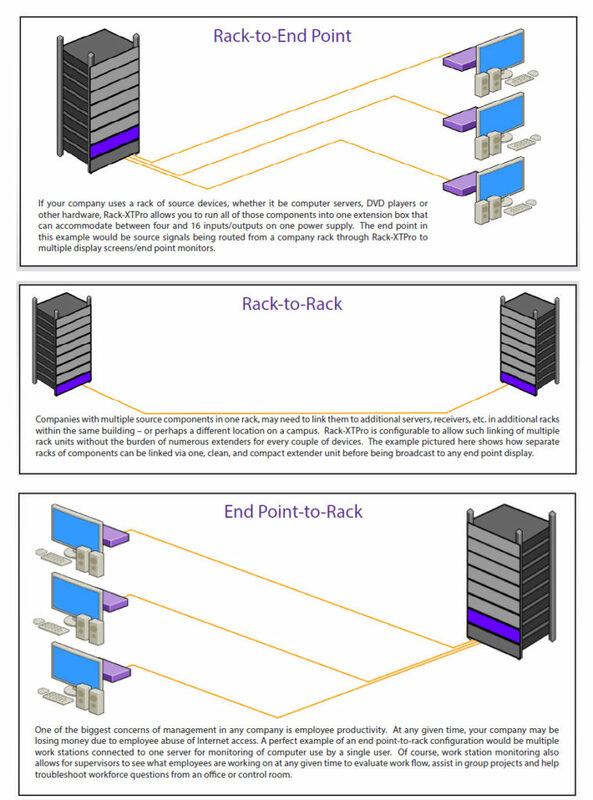 As a rackmount extender, the RK-XTPro easily fits into standard rack-mount set-ups. Place and secure the device to your rack, and connect the power supply. Connect VGA, stereo audio, RS-232, and IR source devices to the the unit. Then connect to output devices via CAT5/6/7 cables. Activate the unit to start extending your signals. The RK-XTPRO excels in a variety of environments and applications. Built as an industrial-grade extension solution, the RK-XTPRO mounts on standard AV racks commonly found in TV stations, production studios, transportation control centers, corporate office buildings, airports, and more. 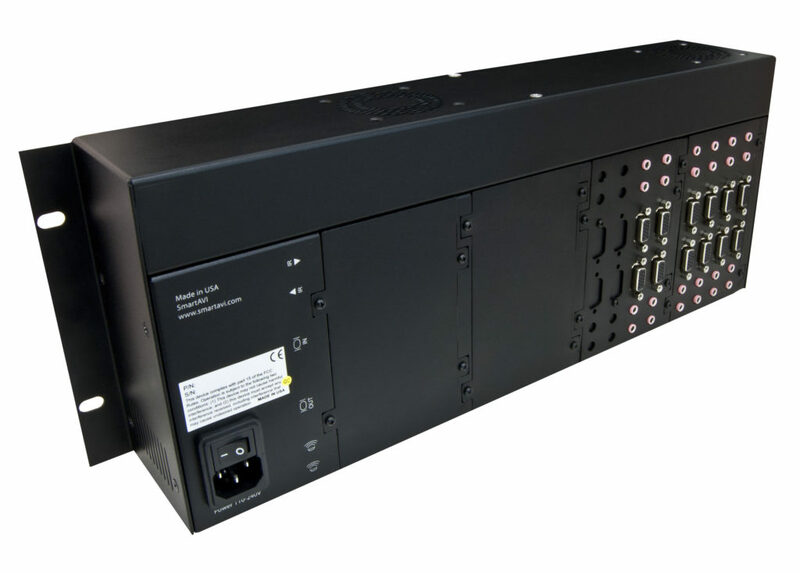 The RK-XTPRO can be used to extend HD video to remote displays, audio to speakers, and even control signals (IR/RS-232) to peripheral devices.